What’s for dinner?!?! | Not Your Everyday Superhero! Other then being a mom and wife, my passion would be food. I love I mean love food. If I don’t say so myself and I have also been told I’m a pretty good cook or pretty good cooker as my kids call me. 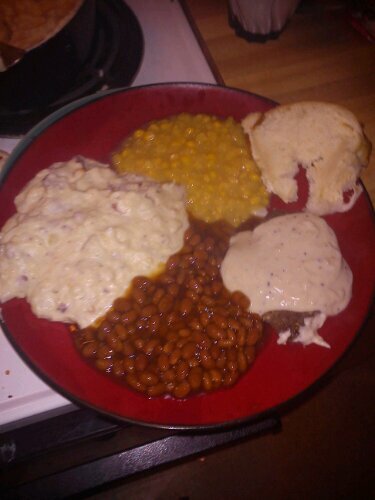 Tonight after cleaning the house and spending time with my kids I decided to make one of my husbands favorites chicken fried steaks with the works, ranch style red skin mash potatoes, cream corn, baked beans, and homemade bread. Yum!